Tabloid Covers were born in 2006 as a way to highlight and capture important events in our life. 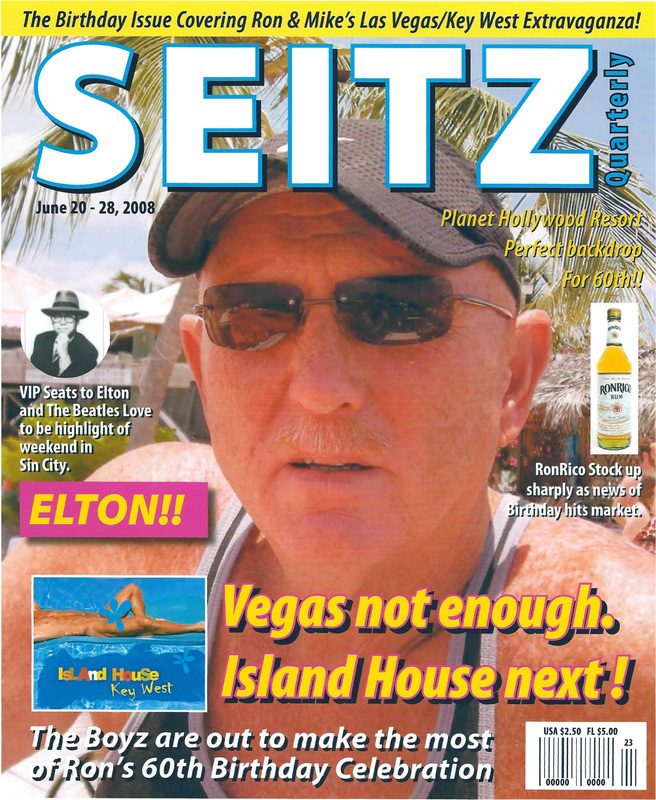 Like real Tabloids, they are exaggerated and humorous but often conveyed a quintessential truth. 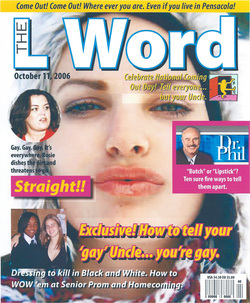 Family and Friends are sometimes threatened with a "don't force us to make a Tabloid" when unpleasant situations or events occur. Here's a selection of the best. I was on the computer playing with Photoshop during the summer of 2006 when I got a call from my sister, Shelley, who was lamenting about her oldest son, Dehn, heading off to college in the Fall. I was thinking what a traumatic event that must be for the Family. 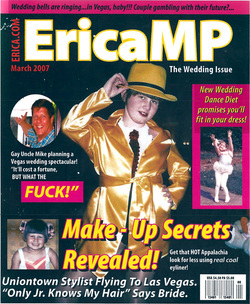 And, as they say, an idea was born and this first Tabloid covered the momentous occasion. Sister Shelley did not find the 'condom reference' funny. At all. LOL! Uncle Mike Was The Last To Know! (gay gasp!)....gay. But then the unthinkable happened. I found out I was the very last person to know of this! I was devastated as I felt I had, years before, borne the brunt of early gay awareness and literally paved the way for Family acceptance long before she was ever born! And for her to diss me this way was just too much to bear. 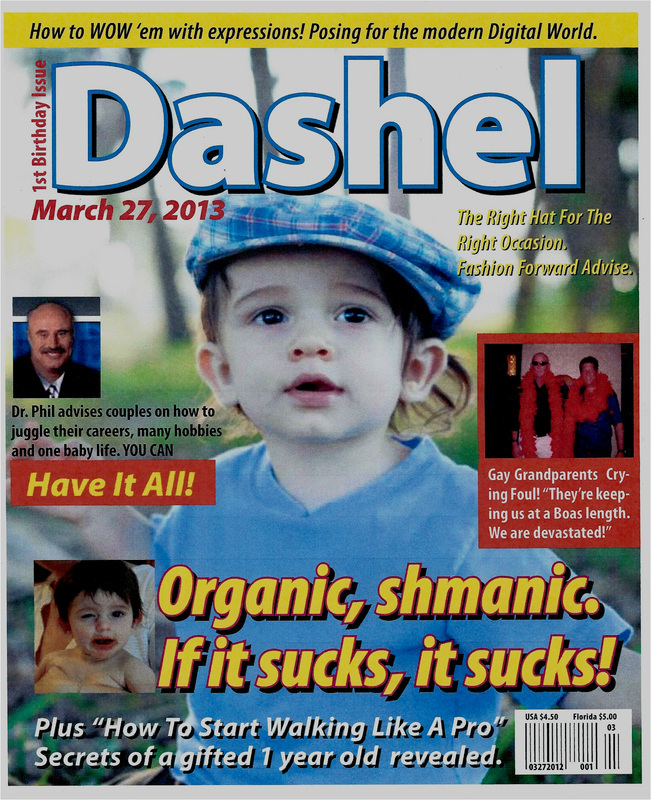 Here's the tabloid that was my response. 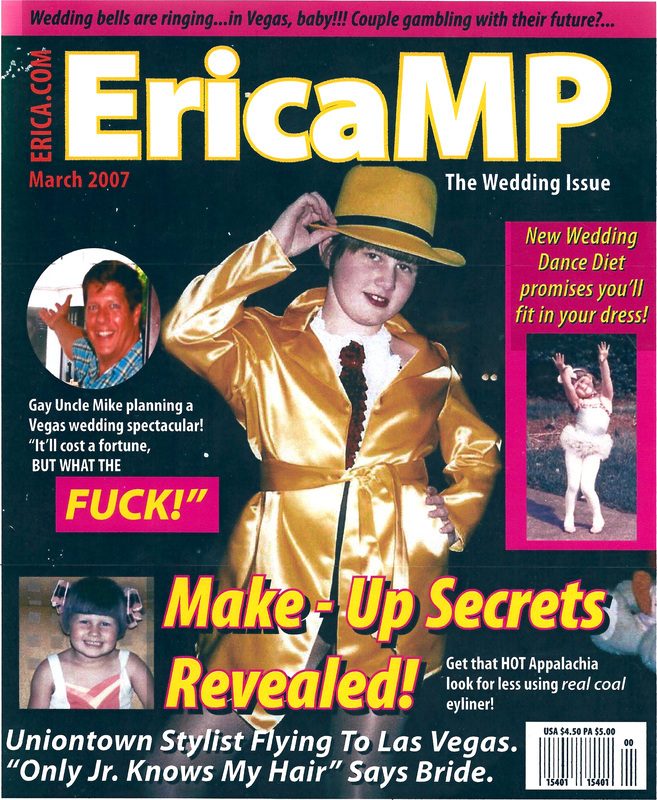 In early 2007, my niece Erica was planning to get married and very conflicted trying to cope with the many demands being made from various Family and friends. I offered to step up to the plate by utilizing my talent for event planning and was able to convince them to get married in, of all places, Las Vegas. Well, although I got a away with it and the wedding was super successful and fun, it wasn't without enormous costs, controversy and 'fear'. I tried to put a humorous spin on the situation with this Tabloid. Great early (and embarrassing!) 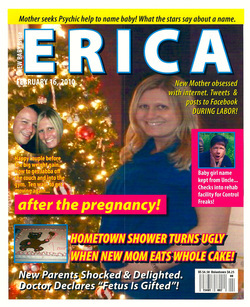 pics of Erica and references to, ugh, Uniontown (Mike's home town). 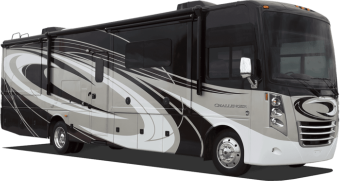 From the beginning of our relationship, Ron and I have always enjoyed planning extravagant vacations and excursions. 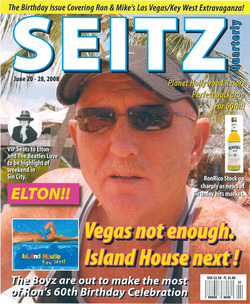 This Tabloid commemorates Ron's 60th birthday trip to Las Vegas and Key West in June of 2007. Go ahead, do the math! How old will he be this year? 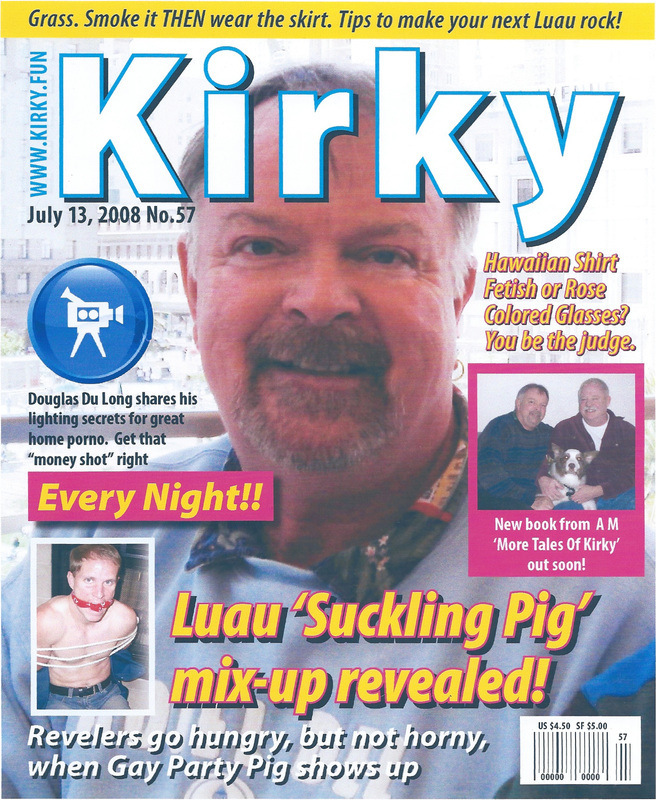 Kirk has always had a fetish for Hawaii, Hawaiian shirts and is very good friends with author Armistead Maupin. The 'Suckling Pig' mix-up reference was/is hysterical! 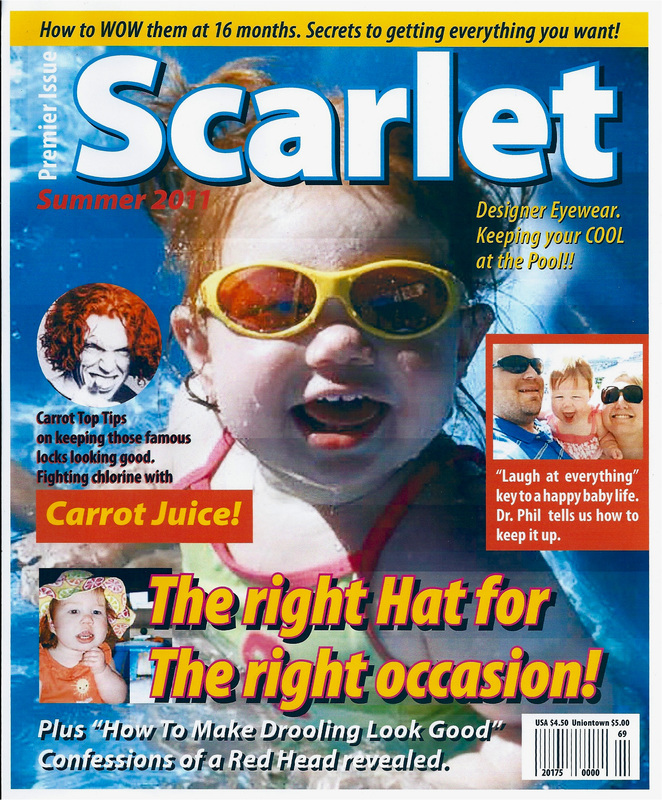 This Cover was reproduced on a large birthday cake and presented at his party. A good friend of mine was tired of getting lame, amateur altered pics of himself from his (homophobic) cousin Arturo, who thought they were really funny. He knew of my relatively new talent, having just learned Photoshop, and asked me to help plot a revenge project. I was sent several pics including the original one of my friend that was 'photoshopped' ("Dr. Lee" in the Tabloid) by his cousin. Once this was sent to Arturo/Artura, my friend never heard from his cousin again. Everyone has bad days. The weekend of July 4th in 2009 was pretty bad and one that I won't soon forget. And everyone deals with their grief differently. My antics are now legendary and those of you who laid witness to the lashing out will not soon forget the outrageous 'performance' at my Mothers service. I'm not proud of what I did but you have to admit, it was morbidly funny and I appreciate all who donned 'the hat' and played along. 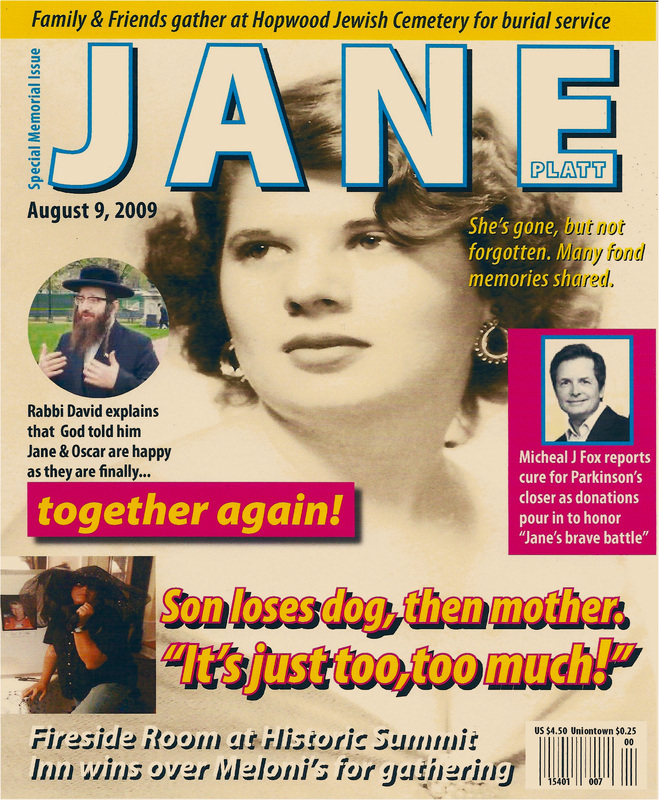 RIP Mom, and know that your fantastic sense of humor (See DJ Jazzy Jane video) and zest for life lives on in me! My niece's first pregnancy was fraught with angst and massive weight gain. Fact. 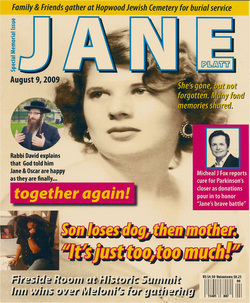 But that's all behind us now and what's left of those days is cleverly portrayed in this Tabloid Cover. Well, here she is. 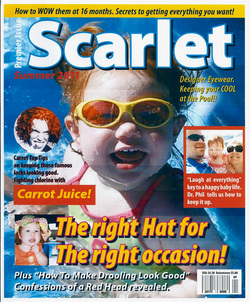 Scarlet Jane at 16 months starring in her first Tabloid. Pictures sent to us and posted to Facebook just got more and more cute and I had to capture the excitement of her burgeoning big personality and, of course, those carrot top locks. After hearing rave reviews for many years, we finally had the opportunity to go on an all gay RSVP Caribbean Cruise in 2013. Wow! We had a fantastic time and upon disembarkation, we, like most everyone else on board, started counting the days until the next one. To all of our gay brethren who haven't yet had this 'experience', we highly recommend you put one of these on you bucket list. Anyway, I thought everyone would get a kick out of our 'cabin door decoration' as I had this tabloid cover made into a door poster for our room. It was a hit. See video highlites of our First Gay Cruise. 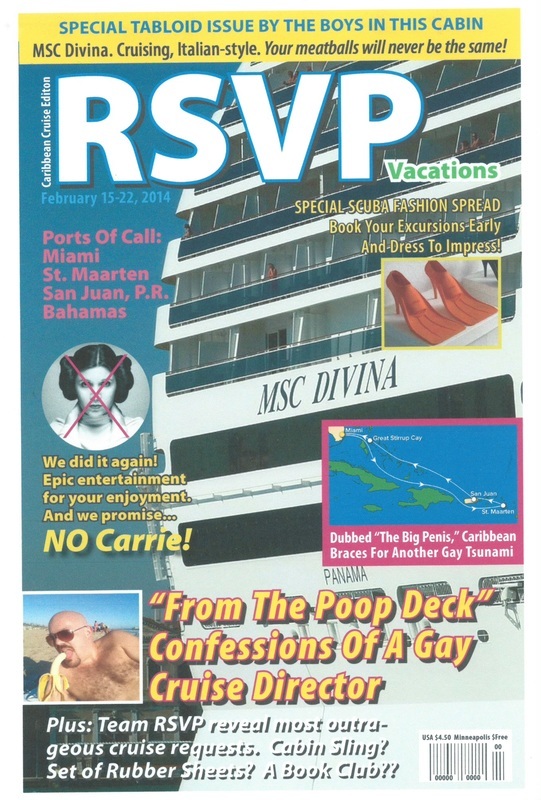 For the 2014 RSVP Caribbean Cruise, we boarded an Italian ship, the MSC Divina in Miami. 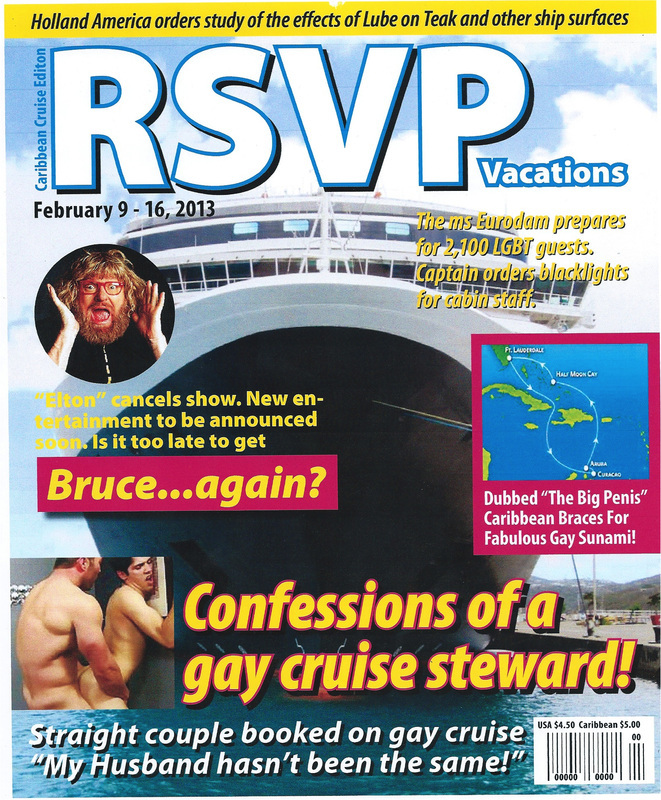 It was a brand new boat and here's our tabloid 'door' for that cruise. 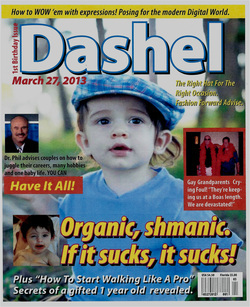 Our Grandson, Dashel, made it on a Cover for his first birthday. His parents, Kristin & Wesley, just weren't making enough time for us to see him. "They're keeping us a boas length!" Not much has changed. They're busier than ever and we try and see him as much as we can. And can you blame us? How cute is that kid!? 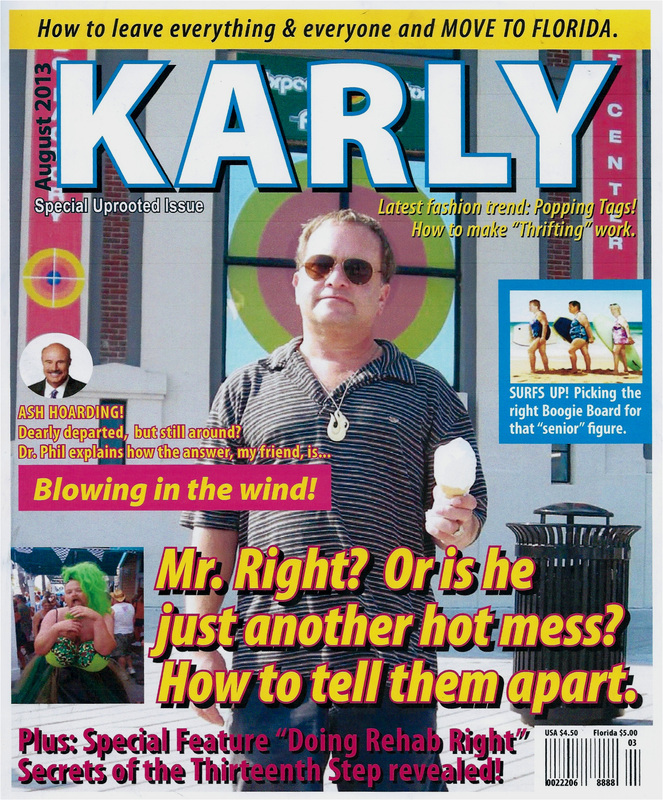 Karl is an old friend and this cover was a long time coming. One of the best, I think. The picture was taken in front of the 'Torpedo Factory' in Alexandria, Va. while we were visiting him for the funeral of his long time companion David Manning. The melting ice cream, his expression, Dr. Phil, Mr. Right (our friend Mitch who works at the Island House) and Surf's Up!. It's all there. 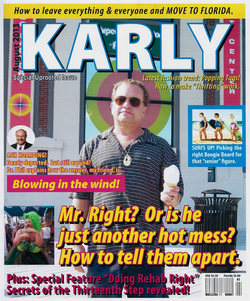 Karl's been trying to cope with his loss for years now and has recently been contemplating moving to Florida. Stay tuned. When news spread that my Niece (who is an ER nurse!) found out she was five months pregnant in August 2015, Family and Friends started asking when 'the Tabloid' would hit the stands. It didn't take long to produce this cover. Harrison Parker Tawney was five weeks premature and, as of this post, doing just fine. 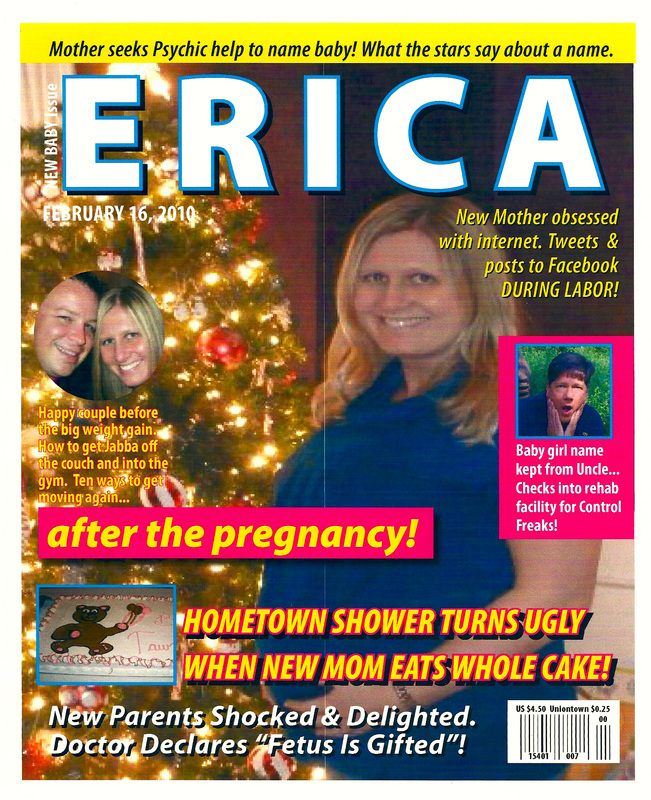 The upside was a very short pregnancy, said Mother Erica. BTW, Harrison has red hair like his older sister, Scarlet.